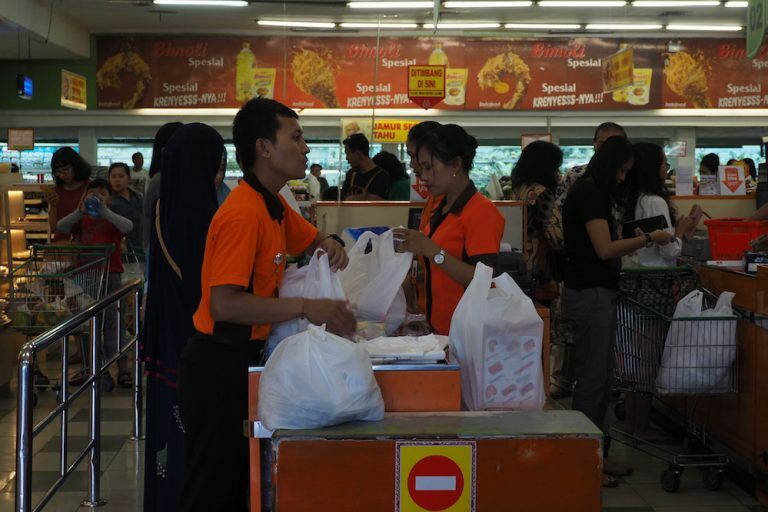 The Indonesian government will issue a policy this year requiring producers and retailers to take greater responsibility for the waste generated by their products. Under the extended producer responsibility (EPR) policy, producers will have to boost the percentage of recyclable content in their products and packaging, as well as provide post-retail recycling solutions. The country is the second-biggest contributor, after China, to the plastic trash crisis in the ocean. 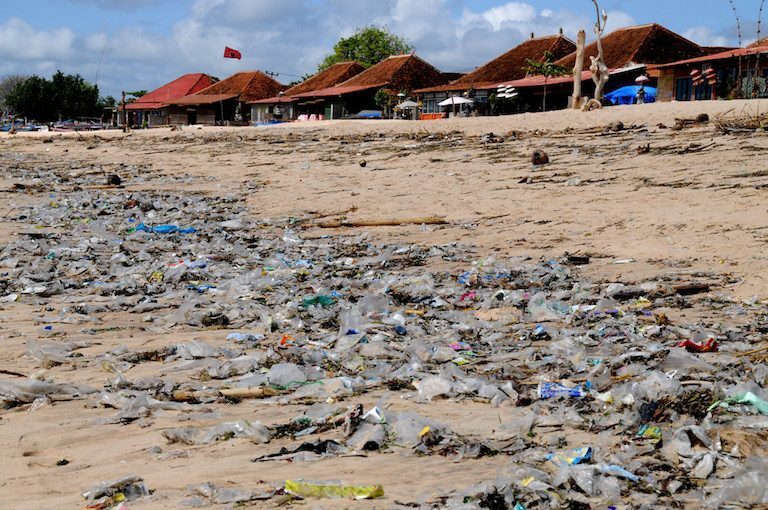 NUSA DUA, Indonesia — The Indonesian government is set to make consumer goods manufacturers more responsible for managing the waste from their product packaging, in a bid to tackle one of the worst plastic trash problems in the world. The regulation, expected before the end of this year, is part of a wider effort to cut Indonesia’s waste output by 30 percent by 2025 from current levels, according to Rosa Vivien Ratnawati, the environment ministry’s head of waste management. The so-called extended producer responsibility (EPR) regulation will oblige producers and retailers to redesign their product packaging to have a higher proportion of recyclable material. It will also require that they take greater responsibility for the management of waste from their products. Those affected will include makers of processed foods and beverages, who rely heavily on plastic packaging for their products. Retailers such as supermarkets and convenience stores will also be subject to the EPR requirements in terms of the packaging options they offer customers, as will food and beverage outlets that currently use plastic utensils, plates and cups. “The roadmap addresses the way [producers carry out] waste reduction, especially for plastic,” Vivien told reporters on the sidelines of the recent Our Oceans Conference in Nusa Dua, Bali. Indonesia is one of the world’s top producers of plastic waste, much of which ends up in the sea. Image by Tommy Apriando/Mongabay Indonesia. Vivien said an EPR requirement already exists under the Waste Management Act of 2008, but it hasn’t been easy to enforce it. “Because when we talk about this problem, we’re talking about whether industry is ready to carry out EPR,” she said. Ocean waste was one of the key topics discussed by government officials, business executives and civil society representatives at the Bali oceans conference. Indonesia, a country of more than 250 million people, is the biggest contributor, after China, to the plastic trash crisis in the oceans. It produces 3.22 million tonnes of mismanaged plastic waste every year, of which 1.29 million tonnes ends up in the sea, according to environment ministry figures. The businesses that will be subjected to the EPR regulation will be expected to draw up a 10-year plan identifying the proportion of waste from their products that they will take back and recycle, Vivien said. They will be required to either set up their own recycling facilities or partner with existing facilities, she added. Producers will also be expected to establish dropboxes where consumers can dispose of their product waste for processing. Besides the post-retail recycling requirements, producers will have to increase the recyclable content of their products, Vivien said, and ideally look to create goods that are reusable. Vivien said her office was in discussions with the Ministry of Industry, the Ministry of Trade and business associations to design the roadmap for waste reduction by producers. The government plans to spend $1 billion over the next five years to reduce marine waste, much of it plastic waste. The goal is to cut it by 70 percent by 2025, according to the Coordinating Ministry for Maritime Affairs. The Industry Ministry will have “the biggest role in controlling plastics over the next five years,” according to Safri Burhanuddin, a senior official at the coordinating ministry. The Industry Ministry has previously opposed EPR requirements, saying it’s enough just to oblige manufacturers to ensure their products include some amount of recyclable content. Retailers such as supermarkets and convenience stores will be subject to the EPR requirements in terms of the packaging options they offer customers. 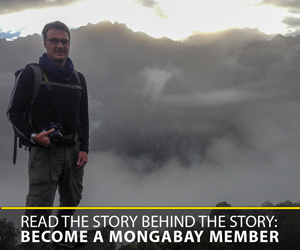 Image by Anton Muhajir/Mongabay Indonesia. EPR is an established practice in many countries, with proven economic benefits. The South Korean government, for example, introduced such a scheme in 2000 and applied it to packaging made from paper, glass, metal and plastic; as well as lubricants, tires, fluorescent light bulbs, batteries and electronic products. A 2010 government assessment showed that EPR recycling generated 1.7 trillion won ($1.5 billion) in added value and saved 1.9 trillion won ($1.68 billion) in incineration and landfill expenses. The study also showed that with the enforcement of EPR from 2001 to 2008, total energy reductions amounted to 3.2 million tonnes of oil equivalent (TOE), or approximately 2.6 trillion won ($2.3 billion) in electricity costs. Crucially, while South Korea imposes fines and other penalties for noncompliance with its EPR policies, the Indonesian roadmap will not stipulate any such punitive measures for companies that fail to meet their ostensible obligations. Vivien said she expected the market and consumers to turn away from products made by companies that didn’t comply with the new guidelines. “While we increase talks with business associations, we also must educate the people,” she said, adding that her office was working with civil society and religious organizations to promote waste reduction. “Our way of consumption has so far been created by [producers]. We’re used to using [plastic] straws because of the industry, we’re used to using sachets because the industry created them,” Vivien said. Environmental groups have long called for increased producer responsibility in waste management. Greenpeace Indonesia carried out an audit on plastic waste across the country in 2017, and found that much of it was dominated by plastic bottles and packaging from products made by multinational and local producers, including Univeler, Danone, Indofood, Wings and Orang Tua. 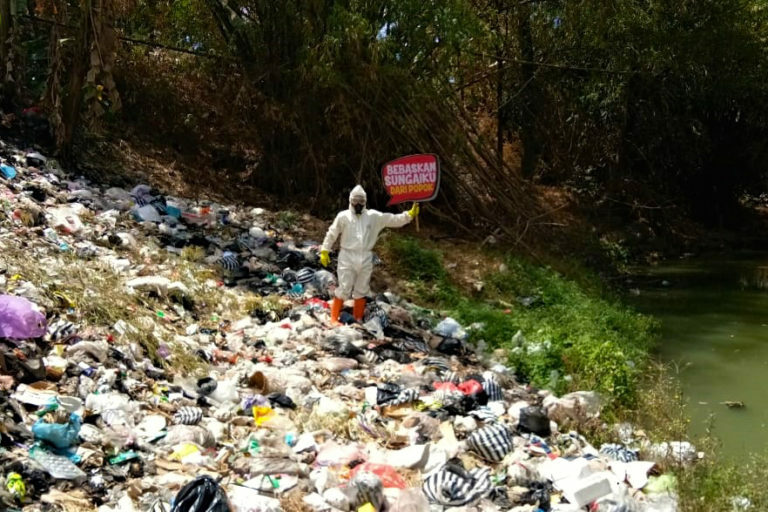 “It’s important for producers to take over the responsibility for the waste from their own products,” said Rahyang Nusantara, a coordinator from the Indonesia Plastic Bag Diet Movement (GIDKP), an advocacy group. Plastic waste litters a Balinese beach. Image by John Rawlinson via Flickr.